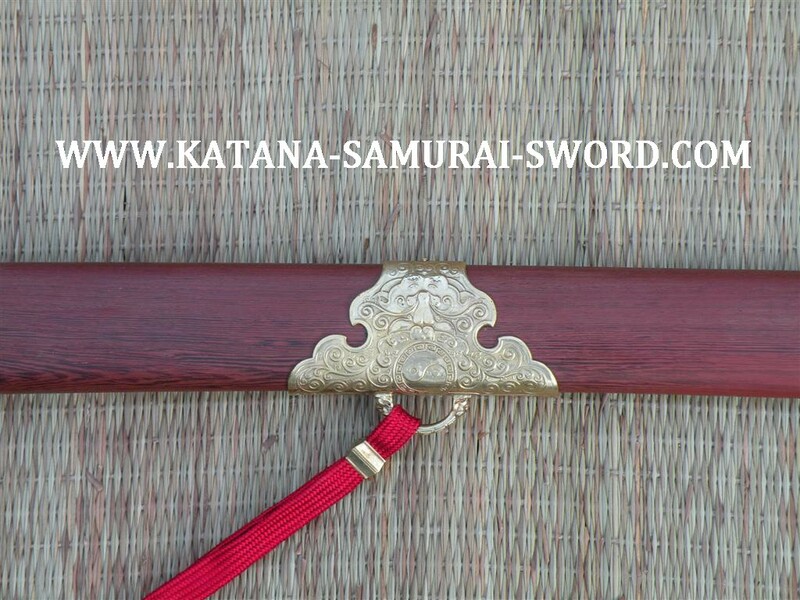 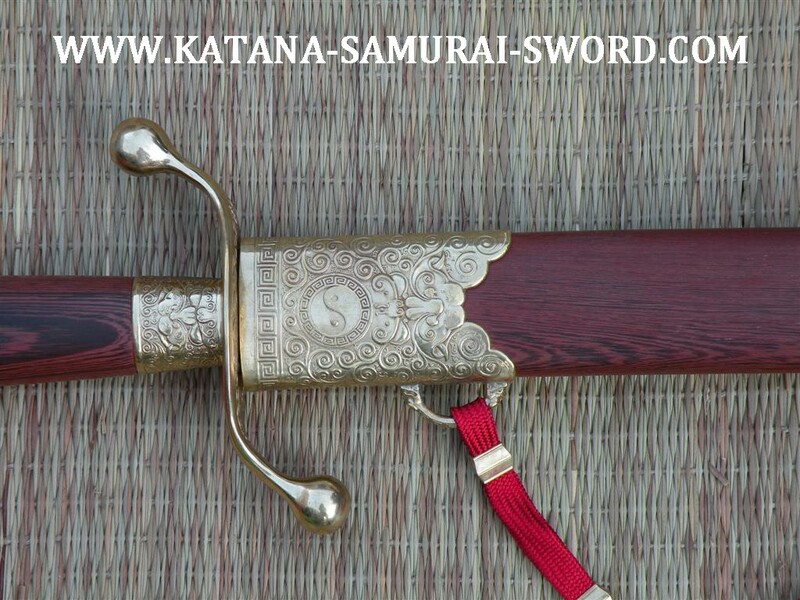 This Saber, built for the Yang-style Tai Chi practitioner, is solidly built and tastefully decorated. 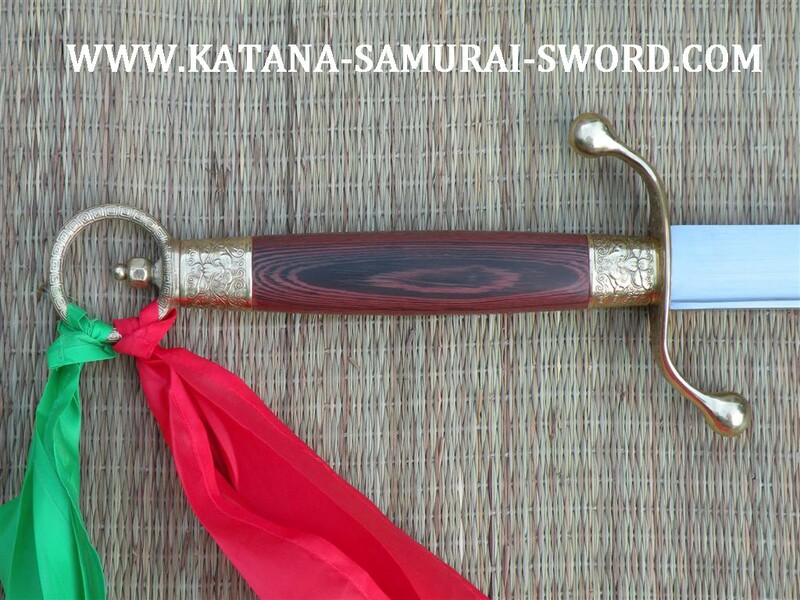 The high-carbon steel blade is fully tempered, with excellent balance and flexibility.The brass fittings complement the genuine rosewood scabbard and handle beautifully. 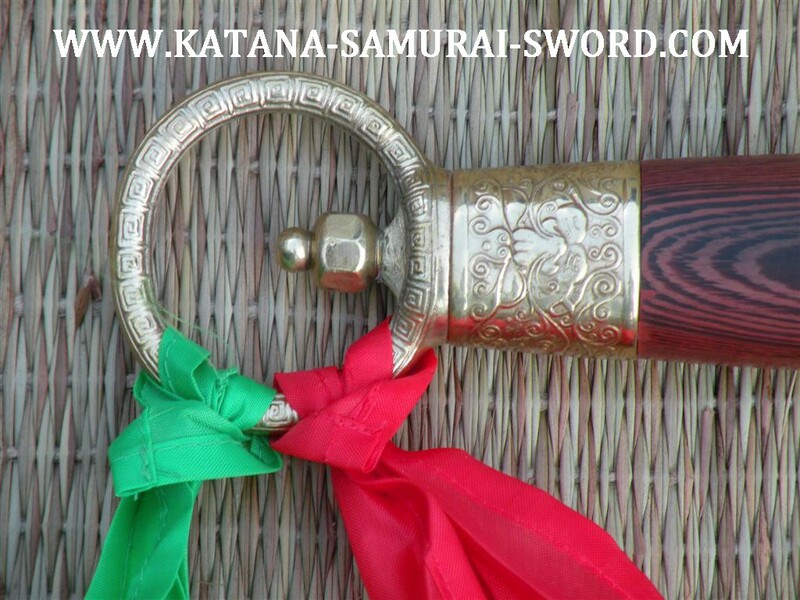 This sharp version has a traditional, lively action to reveal the energy passing through it when expressed. 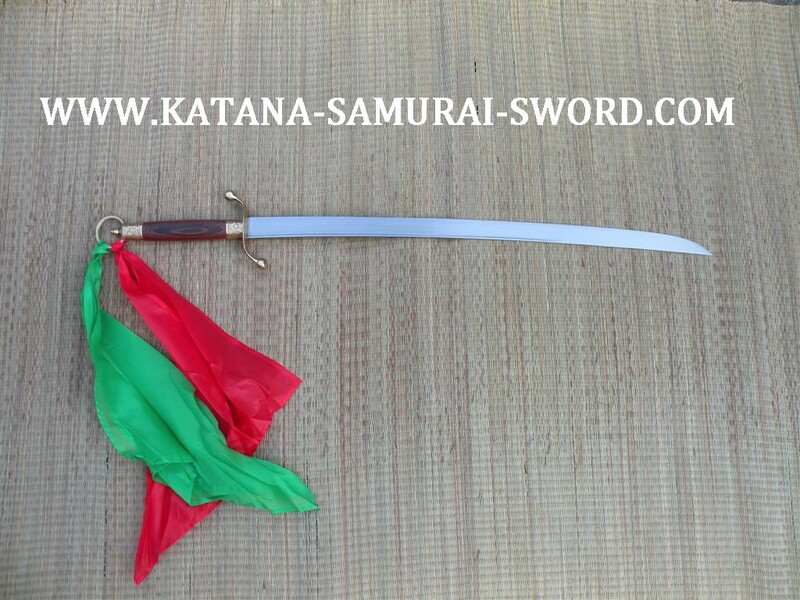 It is comfortably light and can be utilized with ease by the new or average practitioner. 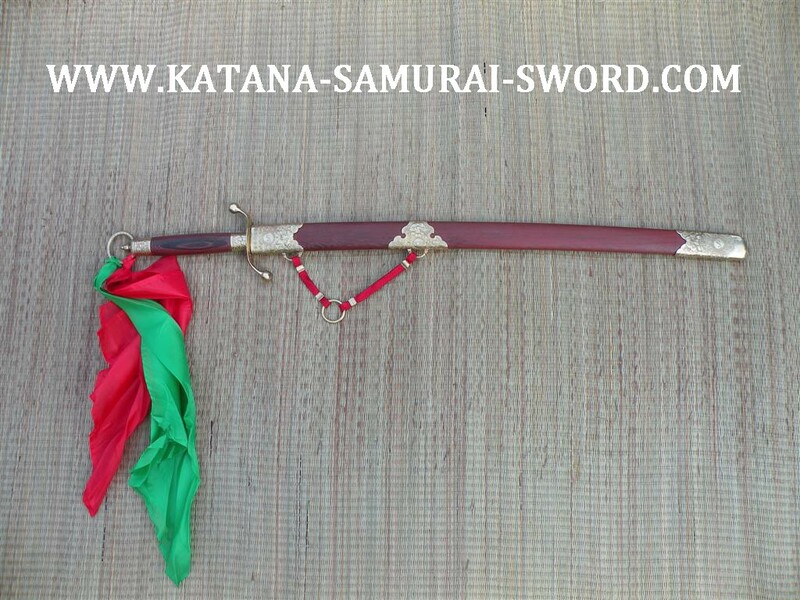 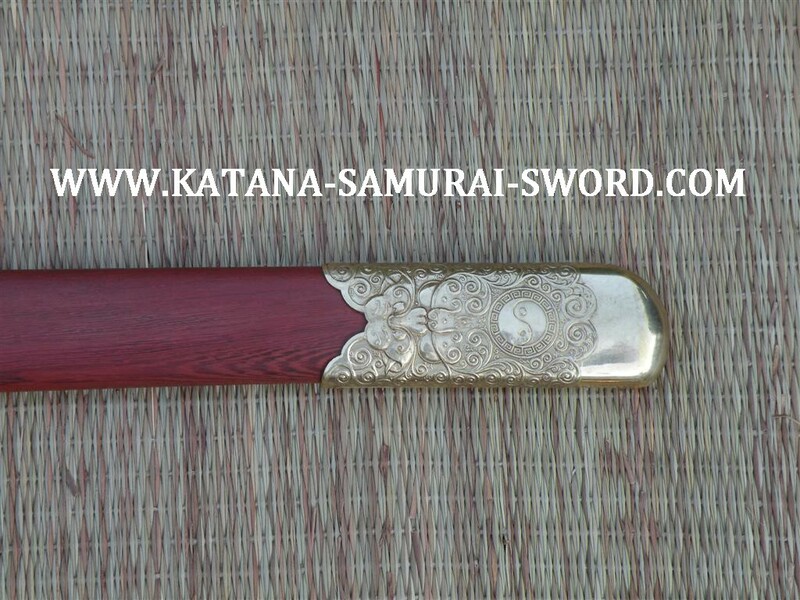 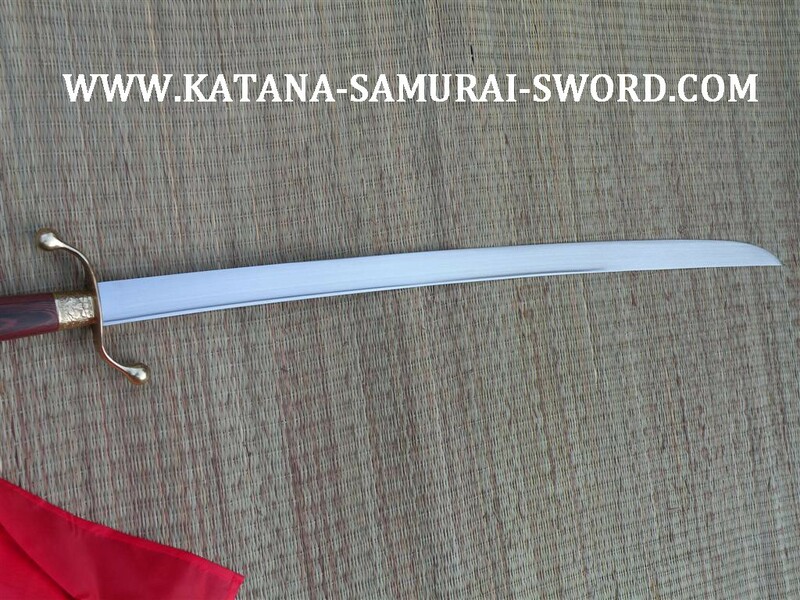 See model SH 2381 for the Practical version of the Yang Saber.